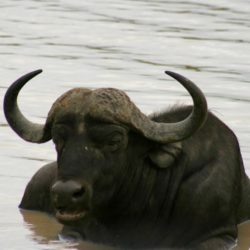 The African Buffalo or Cape Buffalo (Syncerus caffer) is a large horned bovid. 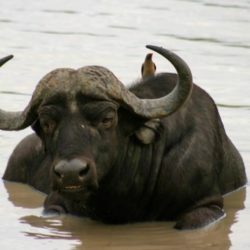 It is one of the Big Five, a term originally coined by big-game hunters to refer to the five most difficult animals in Africa to hunt on foot. 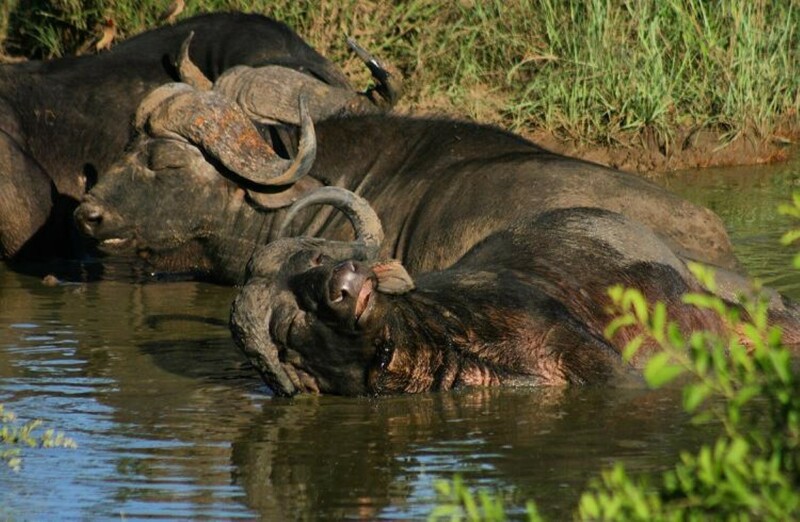 The African buffalo is considered by many to be the most dangerous of the Big Five to hunters. 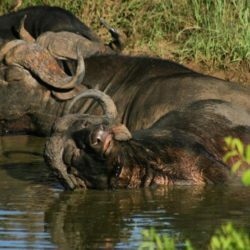 These days the term Big Five is also widely used by safari lodges and tour operators. 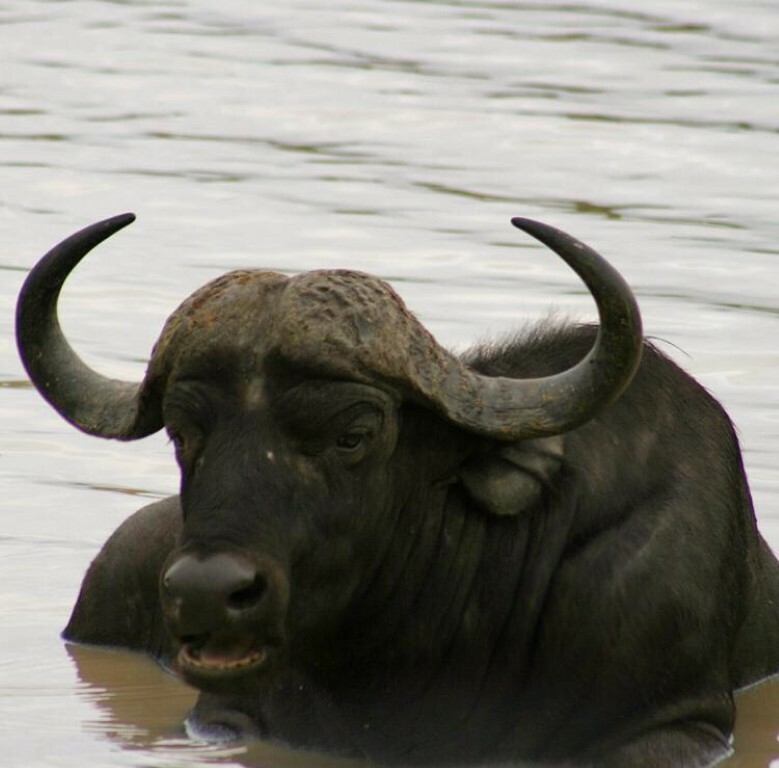 The African buffalo is not an ancestor of domestic cattle and is only distantly related to other larger bovines. 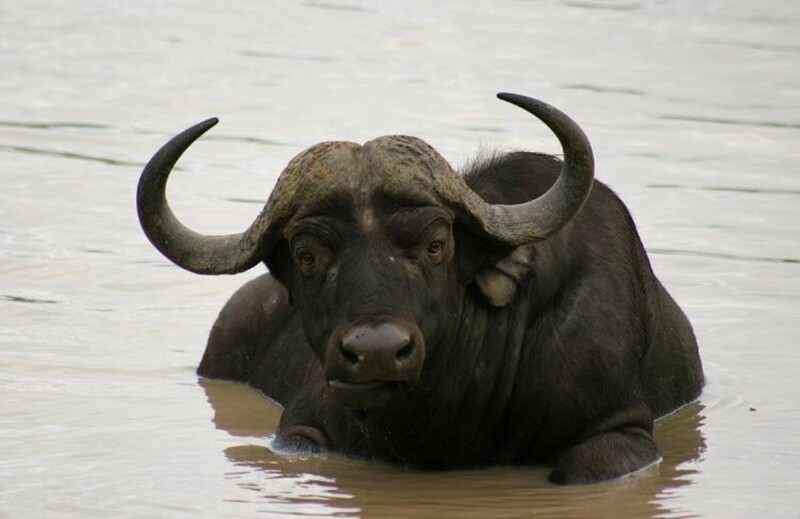 Owing to its unpredictable nature, which makes it highly dangerous to humans, the African buffalo has never been domesticated – unlike its Asian counterpart, the water buffalo. 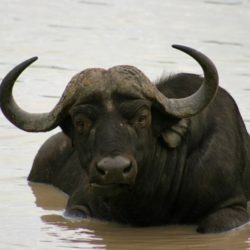 Other than humans, African Buffalo have few predators aside from lions and large crocodiles, and are well capable of defending themselves. 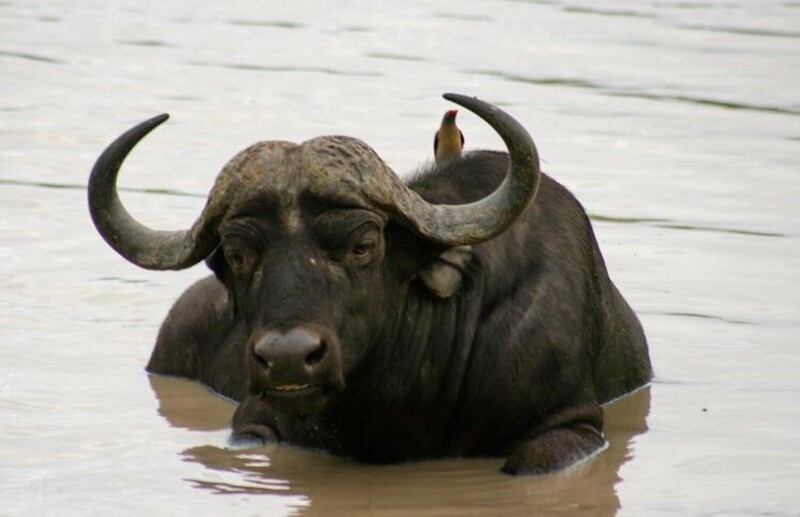 African Buffalo are the only member of the Big Five that are not endangered or threatened as a species.